I didn't realize that having a short hair cut made one a lesbian. Point well taken! Of course I am being sarcastic, people can be so ignorant at times. 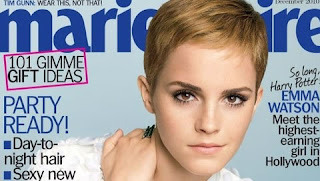 For the record, I love Emma's short hair cut, she wears it well!